Nearly four weeks into the 2019 legislative session, two major water bills, one that streamlines how severance tax revenues are distributed and a second that expands a critical water boundary in eastern Colorado, have moved forward. 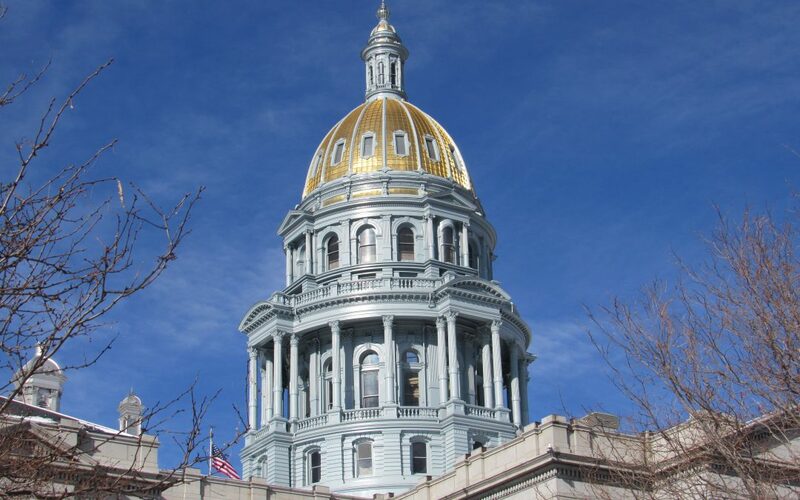 The Colorado Senate approved Senate Bill 19-16 on Jan. 23. The bill would change the timing of severance tax allocations for several water programs to allow for better planning and budgeting. The state collects severance taxes from oil and gas producers and other extractive industries, some of which is used to support water-related activities. Currently the state’s severance tax revenue is transferred three times a year to the Colorado Water Conservation Board based on revenue forecasts; if the actual tax collections are below forecasts (which is often the case), funds have to be taken back. SB19-16 bases allocations on the amount collected in the previous fiscal year and consolidates three payments into one for distribution the following year. Because tax collections in 2018 exceeded forecasts, there is sufficient revenue available to avoid any gap in funding as the new methodology moves forward. The Colorado Department of Natural Resources, the Colorado Water Congress, the Colorado River Water Conservation District, and the Colorado Oil & Gas Association supported the bill at its hearing in the Senate Agriculture, Natural Resources and Energy Committee. There was no opposition. It passed the full Senate on a 35-0 vote and now goes to the House of Representatives for consideration. Also on Jan. 23, the Colorado House of Representatives approved House Bill 19-1029. It would redraw the boundary of the Republican River Water Conservation District to include more wells that reduce the flow of the river in violation of a compact with Kansas and Nebraska. HB19-1029 allows the district to assess the same fee on those well owners that it does on all irrigators in the district to pay for a pipeline that transports water to the river to ensure compact compliance. The district borrowed $62 million to buy water rights and build the pipeline, and has assessed farmers $14.50 per acr to repay the loan. The legislature created the district in 2004 and its original boundary was drawn at the topographic boundary of the Republican River. This did not accurately reflect the impact of groundwater pumping outside the district on surface water flows that impact the Republican River. David Robbins, an attorney who serves as the district’s general counsel, said at the bill’s hearing in the House Rural Affairs & Agriculture Committee that the change was necessary because roughly 400 wells outside the district deplete the river and affect compact compliance but “they are not paying their fair share.” He also noted the state engineer has promulgated rules that, when approved in water court, will require all wells to have water replacement plans to mitigate their depletions or face potential curtailment. If they are within the district’s boundaries, they will automatically be part of the district’s approved replacement plan. The Colorado Water Congress and Colorado Corn Growers Association also supported the bill. John Buchanan, an attorney representing well owners in the East Cheyenne Groundwater Management District that would be incorporated within the new boundary, opposed the bill in committee. He said the pipeline was developed by the district without any input from well owners in East Cheyenne and now they would be required to help pay for it. He also questioned the benefits his clients would receive from being part of the district. The bill passed the House on a 48-16 vote and now goes to the Senate for consideration.